A unique selection of offices is available on the second floor of a famous historical building located in the very heart of Rome. The premises enjoy a stunning view of the centre of the city. The antique charming atmosphere and the modern facilities, make these offices the ideal solution for a successful business. The building is provided with disabled access. It is easily accessible by underground and other public transports. Just 3km from Termini Station all of the dedicated spaces are all independent and face the inside courtyard, accommodating between two and 16 workstations on the ground floor of a prestigious 17th century building in Piazza Campitelli. Every room in this centre is named for one of Rome’s hills. This centre is located in Rione Campitelli, a stone’s throw from Piazza Venezia and the archaeological site of the Fori Imperiali, a hub for public transport lines and 10-minutes on foot from the Colosseo stop of Metro Line B. Situated in the EUR district, just south of Rome's city centre, this traditional building is home to a tech-powered business centre that provides a range of co-working areas and private executive suites. A variety of cafes, restaurants, hotels and banks can be found in the immediate vicinity. With 24 hour accessibility, you can work through late hours at this space. The centre also provides administrative support to help your operations run as efficiently as possible. Located in a well-known business district of Rome, this serviced office centre provides furnished office space along with state-of-the-art technology and friendly professional staff. The building is also accessible 24/7 with round the clock security so you can work through any hour you desire! The surrounding area also offers a great selection of hotels at which to accommodate visiting clients and executives. 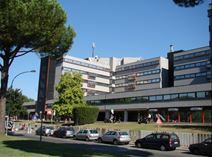 These offices are located in Parco de Medici, a green business district only 10 km away from Fiumicino airport. This centre offers 18 elegant fully furnished offices, along with a full range of business support services. To help your business run as efficiently as possible, this centre provides administrative support, as well as IT support to keep your company connected. Ideal for a variety of business types, at a location that is an excellent choice for companies with both local and international clients. Take your pick of the area's array of prestigious hotels, restaurants, entertainment complex, sporting and golf club. This impressive building is conveniently located in a key business and financial district of Rome, in the city centre, and it is only a few minutes’ walk from the main railway station and from the most fashion streets. The building has been fully refurbished and equipped with video-conferencing facilities and modern security systems. Within 2 minutes walk, there are several hotels where you can accommodate visiting clients. Located in the centre of Rome and surrounded by shops, banks, public offices, hotels and restaurants, this Centre consists of furnished offices and conference rooms. The offices are immediately available and provided with modern telecommunication technology and a full range of services, including high qualified multilingual secretarial staff. Furthermore, your company can flourish with this centre's 24-hour access and security, company signage and business park setting. This outstanding centre is of high quality standard, elegantly furnished, equipped with air conditioning and with the latest telecommunication technology and filing systems. Situated in the centre of Rome, within easy reach of the main railway station and of the Leonardo da Vinci airport, this centre is just 15 minutes’ away from the ring road Grande Raccordo Anulare, in a key location which provides access to all main motorway junctions. Just off Rome's historical centre and well connected to the airport; these modern office spaces are equipped with a full list of facilities and services to help you run a successful business. These spaces are fully furnished and modernly designed to offer you a highly professional working environment. It sets the benchmark in comfortable working environments, with air-conditioned offices that offer complementary beverages for your convenience. In the surrounding areas, there are many local amenities, from restaurants to performing arts theatres. This former soap factory provides open office spaces and a mezzanine area with private office. It has been recently restored and fitted with cutting-edge facilities that will enable companies of any background to thrive at a prime location. 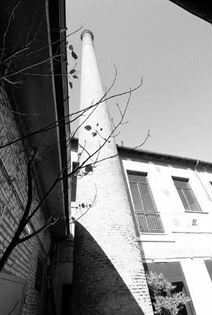 The space is situated in the Ostiense/ Garbatella area, close to the St Paul Cathedral and within easy reach from the historical centre of Rome, where there are lots of restaurants, cafes and shops to explore. Located in a prestigious Roman Villa, surrounded by a large garden, this elegant and accommodating business centre has been completely refurbished to provide a beautiful office space, equipped with the latest communication technology and modern facilities, professional multilingual secretarial staff and conference rooms. 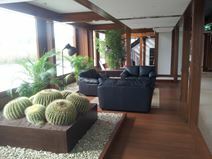 The villa offers easy connection to Fiumicino and Ciampino airports and to the centre of Rome. This Business Centre is located in a fabulous villa, strategically situated in the most important business district of Rome, with excellent connection to Fiumicino airport and to the main railway station and served by public transport links. Decorated at a high standard, the offices are equipped with modern telecommunication systems and a wide range of facilities, including professional and experienced secretarial staff and parking area. Elegantly refurbished, this prestigious villa offers high standard offices provided with modern facilities: professional secretarial service, excellent telecommunications services, conference facilities, meeting rooms, large garden and swimming pool. The villa is located in the business district of Rome, easily reachable from the airport, Termini railway station and just a few minutes’ walking distance from the underground station. Opened in 2014 this center is less than 800m from the Vatican City and only 20km from the airport. Offices are fully furnished and available immediately, while the telecommunication systems are high-tech and the support staff are multilingual. There is also IT support, and the centre is accessible 24 hours a day. The immediate area has an abundance of local transport links, making it highly commutable. This large and smart office is located in the north part of the city of Rome and is available for between one and four years rent. It is within a residential area with excellent bus transportation and is only a 30-minute drive to the airport. Here, you can have a virtual office option, with large meeting rooms and a wonderful reception area. Within the area, there are shopping and restaurant amenities, as well as many transportation links. Offering a fantastic selection of office solutions in the heart of Rome, this business space provides a range of bespoke membership options ideal for professionals, entrepreneurs and freelancers. The space offers a number of executive seats and quality seats, all fully equipped and ready to use with ergonomic furniture, storage facilities and high speed internet. The centre is easily reached with a range of public transport links. Located in the heart of Rome, this business centre finds itself in a highly central location, putting you and your business in a great area of the city. The complex offers high end offices which come fully furnished, with great in-house services. In the building you will find an on-site restaurant and cafe, along with meeting rooms and business lounges. With 24 hour access to the building you will be able to work around the clock at your own pace. The centre benefits from great public transport links and plenty of eateries right on your doorstep. These modern offices are elegantly constructed using wood and glass. They benefit from a great address that is only 15 minutes from Fiumicino Airport. In addition, there are hotels close by for your visiting executives. This space also hosts a range of support services, such as administrative/IT support, conference facilities, reception services, videoconferencing facilities and virtual office options. This centre is surrounded by many amenities including a coffee house, pizza shop, restaurant and parks. Offering a range of spaces for your business needs, along with a friendly support staff and a range of other business support services. This is a comfortable and professional business environment, ready for you. This is a peaceful, quite location, ideal for a range of business types. It is surrounded by many amenities, such as a coffee house, a pizza shop, a restaurant and lots of parks and shops. With a prestigious location close to the Vatican, this executive business centre provides smart, stylish offices in a comfortable, professional modern business environment. For efficient communication, there are telecoms, and there are also postal services/mail handling for your convenience. A number of local amenities are a short walk away, including many hotels, restaurants and an events venue for conferences and conventions. This Centre offers high standard offices with a full range of facilities: elegant and technologically equipped meeting rooms, professional reception staff, services of translation and travel booking. Surrounded by shops, banks, public offices, hotels and restaurants, this Centre is located within easy reach of the centre of Rome, the International Airport of Fiumicino and the ""ring road"" - ""Grande Raccordo Anulare"". You will benefit from a professional business environment, promoting productivity and making your working day run more smoothly. Working spaces come fully furnished with a contemporary and modern design customised to suit your tastes. You can start small and add more work stations as desires, so you will never have to pay for more space than you need. The area is not only rich in new and upcoming amenities but also with history; nearby you will find the Centrale Montemartini museum of ancient sculpture. Just 10 minutes from the Vatican, this business centre benefits from a great central Rome location and fantastic surrounding amenities. Tenants have a choice of on-site facilities and a range of private, co-working and open-plan office spaces. You can also benefit from the centre's IT support, ensuring that you operate efficiently, with air conditioning so that you work comfortably all year round. Located in a fine and well preserved Liberty-style building, this Centre has been recently refurbished to form a high quality office provided with IT and secretarial facilities. 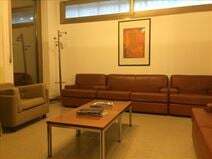 The building is situated in a prestigious area of Rome, within walking distance from the most famous and fashion street of the city; it is close to the main railway station and can be easily reached by car or public transport. Located in a highly sought after area in Rome, this brand new business centre offers 8 floors of working space including coworking areas, private offices, meeting rooms and event spaces. The centre offers great services on-site including a coffee bar and regular networking events. If you wish to drive to work you can find on-site parking spots, and the area benefits from great public transport options with the nearest metro station only a 5-minute walk away. Near to Villa Borghese this fully furnished and equipped office space has a choice of private or shared solutions available on flexible terms. There are great on-site facilities available at the centre, such as a variety of attractive, well sized meeting rooms, available for you to use at your disposal. This centre is ideal for anyone who wants to avoid the traffic and congestion of the city centre, while only being 20 minutes from it. Situated in the very heart of Rome, in the vicinity of S. Peter's Basilica, this centre is surrounded by elegant restaurants and hotels at which you can accommodate visiting clients. The centre consists of modern offices and meeting rooms equipped with all practical and technologic advanced facilities and a professional support staff.The secretarial team that will greet and manage your clients with the utmost courtesy, and your business will surely benefit from the area's high footfall. This brand new Business Centre is set in a key location, close to the E.U.R. District of Rome, just 10 minutes’ away from Fiumicino airport and well connected to the city centre. The Centre consists of offices, meeting rooms and virtual offices of various sizes to respond to any business' needs. 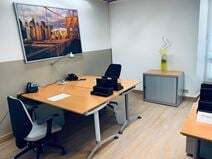 It is provided with a wide range of facilities and services: advanced telephone and broadband connection, multilingual secretarial support, air conditioning, parking area, cleaning and maintenance services. Situated in a prime area of Rome this centre is part of a recently developed business park on the western cusp of Municipio IX. Amenities here include 24/7 access, various meeting and board rooms and a friendly on-site reception team to give an impressive welcome to any visitors and help your business thrive. This business centre located in a prime area of Rome has a total of 58 offices, with 200 workstations and conference rooms available. This centre is on the 3rd floor of an historical building, in front of a subway station in the Prati neighbourhood, and just five minutes from Central Station. Services include air-conditioning and heating, telephone and high speed Internet. Meeting rooms are equipeed with video conferencing equipment. Temporary offices that can be used by the hour, and the possibility of buying a prepaid carnet is available. This modern glazed building is located in the largest business district of Rome. It is close to Fiumicino airport and is well connected to the city centre and the main railway station. The building is provided with the highest technology systems and a wide range of modern facilities, including 24/7 access, lounge area and video conferencing. Moreover, within the centre's immediate vicinity, you can find cafes, shops, a fitness centre and a supermarket. This centre opening soon is located in the heart of Rome, where you will always be well-connected to lots of eateries, shops and tourist attractions. You will surely benefit from the area's high footfall. It offers both private offices and 84 co-working desks. If you meet with clients often you'll be able to rent out one of the ten on-site meeting rooms, giving you a professional and confidential environment.